In some cases, like the example I’ll use in this article, I need a bit more than headless Chrome to figure out what’s wrong with my build. 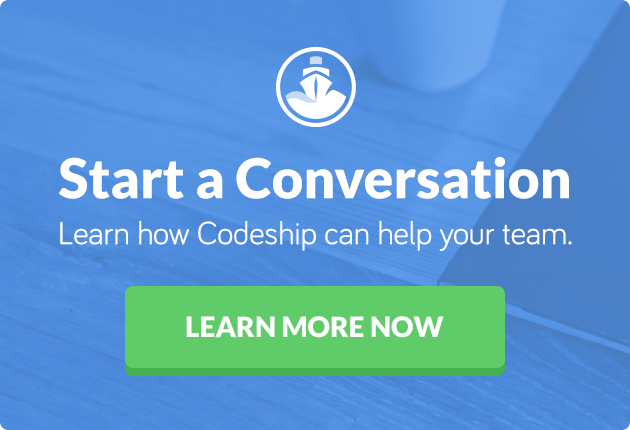 Fortunately, Codeship’s SSH feature comes in handy for troubleshooting. So, using SSH and SauceLabs Connect, I’ll demonstrate how I interacted with my running PHP server on Codeship. So the addition of the word true in the asset method forces it to serve the assets under a secure URL. In Chrome, this will cause an error if the site is running in a non-secure URL. None of my efforts before this worked: screenshots on fail, dumping the HTML with And print last response, and so on. What I really needed was to see the console tool panel that my browser offers, in this case Chrome. But I couldn’t do this easily with headless Chrome. That’s when I set up SauceLabs Connect to interact with my build. I’ll explain how this works step by step. Ideally this is just a script in my ci folder. and the KEY when you scroll down and unlock it. This is a really neat feature of Linux and Unix-like systems that SauceLabs has put to good use. If you go to their Wiki, you’ll find a script you can download. Typically I store this in a folder for my miscellaneous build scripts: ci. I keep a copy of this file so I can more easily just make the connection. The bash script looks like this. In just a moment, you’ll have a tunnel to your SauceLabs account. You’ll know it’s connected when you log into your account and see Tunnels – 1 Active in green. Now on the SauceLabs Dashboard, start a New Manual Test. This will pop open a new screen. Here, I set up the remaining info, including the website’s URL and port. In a few moments, I’ll get a full desktop (thanks to VNC) showing that they’re using the browser. And finally we are ready. Our server is running, the tunnel is set up, so let’s interact with the site. As usual when working locally, I can click around the desktop in the browser and open up Developer Tools in Chrome and figure out what is wrong. No more guessing, no more headless Chrome troubleshooting. So as we experienced in my first article, Headless Chrome is great and fast, even for local work. But when things go wrong, it’s best to open up a regular Chrome session and dig in as normal to see what’s going on. 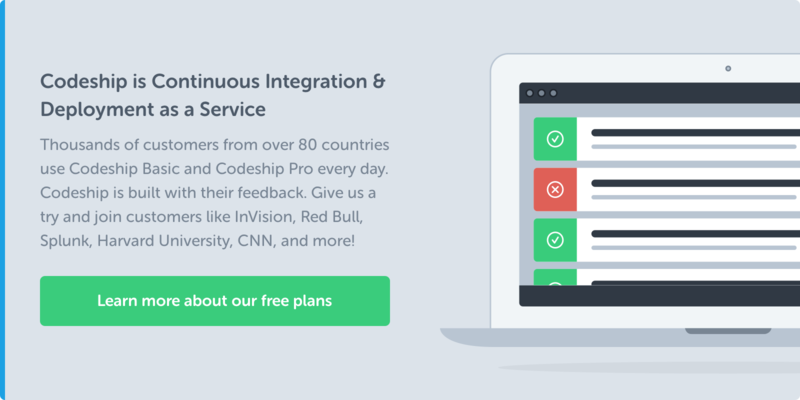 Tools like SauceLabs and SauceLabs Connect with Codeship make this amazingly easy to do. What About Running Tests on SauceLabs? We’ve seen a great way to troubleshoot our builds. But sometimes I might want to run my build via SauceLabs instead of a local Selenium. This can also be good for troubleshooting, but it really is key for testing against the many different browsers and even mobile. If you’ve made it this far in this post, you’re already halfway there. For this to work, I need to have a new section in my behat.yml file. This will be a new profile called saucelabs. Note that you really need to save your settings above ACCOUNT_NAME:ACCOUNT_KEY. But if this is a public repo, that’s too risky. You can pass it using BEHAT_PARAMS (see the following code snippet), but I find it hard to set up for multiple profiles. I do not define the tunnel name -i ci so that all requests default now through the tunnel. So when I finally run behat --profile=saucelabs, the local behat will talk to the remote Selenium server and that will tunnel back to my localhost webserver via this tunnel/port forwarding that’s going on. You can view the example code here.